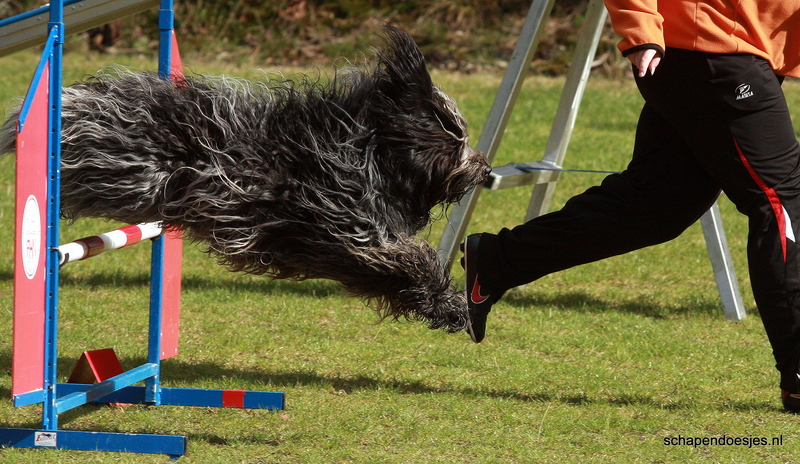 Agility is a rapidly growing dog activity that is fun for dogs and spectators. It started in London in 1978 as entertainment at the world famous Crufts Dog Show and was later formalized as a performance competition in North America. 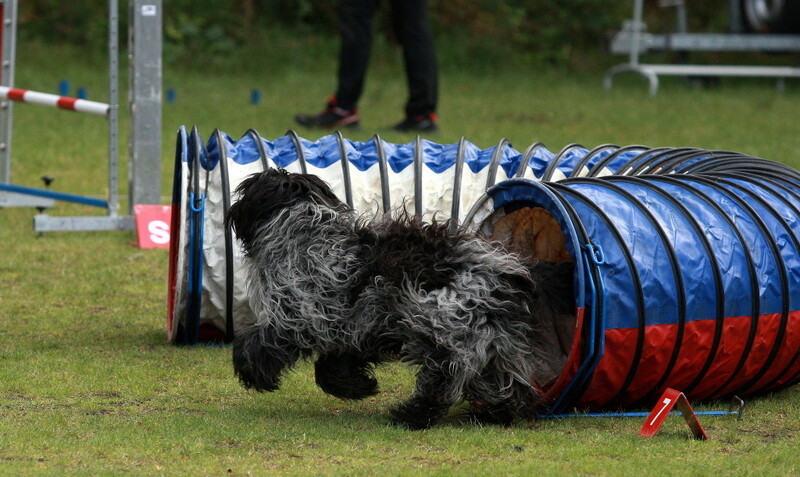 In an Agility trial a team of dog and handler run a course of jumps and obstacles within a specified time while striving to minimize faults. Accuracy and safety of the team is key as both run at high speeds with the handler guiding the dogs progress over elevated A-Frames, Dog Walks, See-Saws and a variety of jumps and tunnels. In Canada the CKC (www.ckc.ca) and the Agility Association of Canada (www.aac.ca) both sponsor trials, each with slightly different rules and criteria for titles ranging from Novice to Master levels. In the United States, the American Kennel Club (AKC), the United States Dog Agility Association (USDAA) and the North American Dog Agility Council (NADAC) all sponsor Agility trials. The Schapendoes intelligence, athleticism and working drive make them excellent candidates for Agility.